The music industry is gravely concerned with pirate sites, but there are gaping holes in legal services as well. This is also true for the France-based streaming service Deezer, which is trying to rid the web from "hacked" versions that allow people to download music freely. Nowadays there are dozens of ways for people to pirate free music. Torrent sites, direct downloading portals, stream ripping, you name it. While the music industry tries to crack down on these unauthorized services, there are also plenty of problems close to home. Legitimate streaming platforms such as Spotify and Tidal has been used to rip music from, and the same is true for the French streaming giant Deezer. 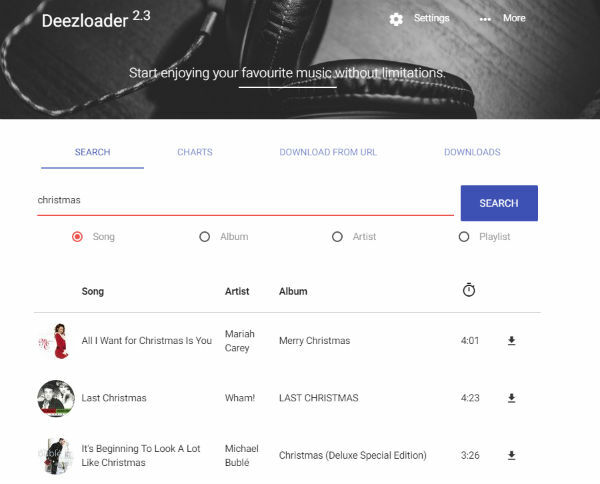 Through various applications, the public can freely access and download the entire Deezer library, completely hassle-free. Take Deezloader, for example, which makes it surprisingly easy to grab high-quality tracks, complete with proper titles and tags. Want to download a full album in one click? No problem. A custom playlist of dozens of songs? Done. Deezer is obviously not happy with these applications. 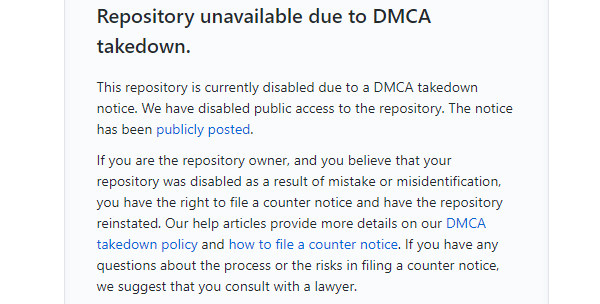 Through DMCA notices the company does its best to take them down. This week it sent a notice to the developer platform GitHub, targetting several of these tools. “The following projects, in the paragraph below, make available a hacked version of our Deezer application or a method to unlawfully download the music catalogue of Deezer, in total violation of our rights and of the rights of our music licensors,” Deezer wrote. GitHub was quick to respond and removed access to (forks of) applications such as Deezloader, DeezerDownload, Deeze, Deezerio, Deezit, and Deedown. Instead, users who try to access these repositories now see the following notice. While the DMCA notice helps to make these projects unavailable, at least on GitHub, the applications still work. They’re also widely available through other sites and forums. Deezer refers to the pirate applications as “hacked” versions and appears to be unable block them from accessing its own servers. That’s a worrying prospect for the company.